There's a heck of a lot of music in this set – more than enough to show that avant guitar genius Fred Frith has been alive and well in recent years – and at very collaborative level too! 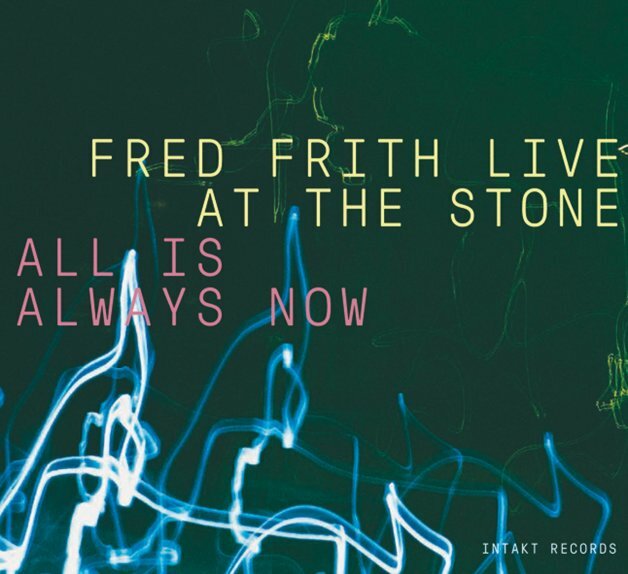 The package selects recordings from over 80 concerts that Frith performed at The Stone in New York between 2006 and 2016 – and all tracks are improvised, with Fred in a variety of different groupings of creative talents who really open things up! Performances include a trio with Ikue Mori on electronics and Nate Wooley on trumpet, a trio with Annie Lewandowski on piano and Theresa Wong on cello and electronics, a duet with Sudhu Tewari on "recuperated junk", a duet with Shelly Hirsch on voice, a duet with Evan Parker on saxes, a trio with Pauline Oliveros on accordion and Else Olsen Storesund on prepared piano, a duet with Sylvie Courvoisier on piano, a duet with Miya Masaoka on koto and electronics, and a few duets with Laurie Anderson on violin, keyboards, and electronics! © 1996-2019, Dusty Groove, Inc.